YouTube is one of the most popular websites on the web. What started as a simple service for sharing videos, has become a popular platform for self-made video creators from all over the world. Nowadays, you can find all kinds of videos on YouTube, from DIY tutorials to cooking classes and language lessons. 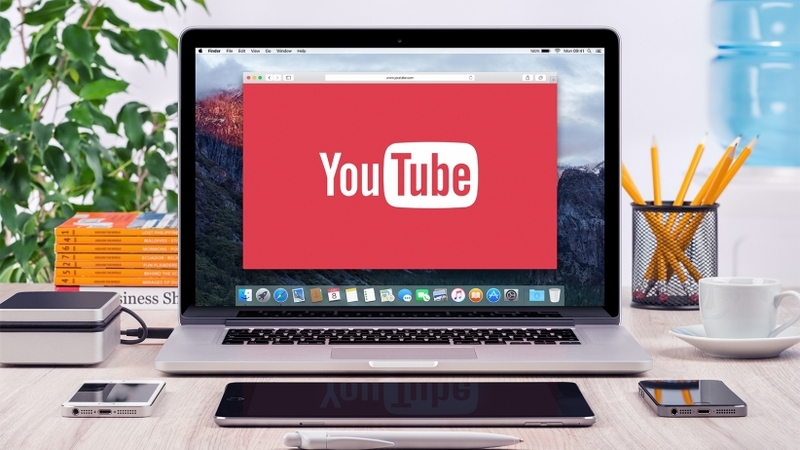 But should you consider YouTube to be the perfect platform for promoting your business? Definitely. Although it seems that YouTube has become a definition of “too much content,” it still has 1.8 billion users, which would be a mistake to miss out on. Besides, the Blue Corona statistics for 2017 has shown that companies who use videos for marketing, also have a 27% higher click-through rate and 34% higher conversion rates. Also, around 50% of the Internet users search for the videos describing a product before they actually visit the store. Demographic statistics also support your intention to start shooting YouTube videos for your business. Reportedly, 40% of millennials trust YouTube for content not because it’s a reputable creative platform, but because the videos on YouTube seem more sincere and upfront. Thus, using the opportunity to reach so many people is a must for your business. There’s one thing you should worry about, though: content. Making a video for YouTube is a complicated process and many details need to be taken into account. It’s fair to say that people nowadays are spoiled with good, high-quality content and it has become hard to surprise them. So how can you create a killer YouTube video for your business that will attract more viewers? Let’s find out. Now, that we’ve decided why your business should start creating content, let’s talk more about the process of content creating. Content creation should start with a plan, or in our case – a video script. This way you’ll make sure that you’ve taken everything into account and didn’t leave anything out. This process is quite time-consuming, but it will definitely save you time during the production process. Message. Who is your video for? What is your target audience and what do you want them to know? Before you sit down to write a script, figure out exactly who you want to reach in your video. This way you’ll make your video more specific and targeted. Concept. After you’ve figured out the key message and the audience, it’s time to think over the concept of your video. Go from the general image to specific steps. When working on a video, it’s always easier to imagine a general concept and then figure out the steps to bring it to life. Length. Length is directly related to the click-through rate of your videos. Videos that are too long often don’t get watched till the end, while short videos are not perceived seriously. The optimal length for a YouTube video for your business is 2-3 minutes long. Budget. When creating a script for your business video, it’s natural to think about how much money you’ll need to cover the whole production process. If you own a small business and your budget is not very big, don’t worry. Reportedly, people, and especially millennials, value authenticity and meaning in a video before anything else. After you’ve considered these four points, it’s time to put your ideas on paper. We recommend using a two-column system, where you put all video information in the left column and all audio information in the right column. This will allow you to track how exactly your video will appear on the screen and also track time. This is just an example of a YouTube marketing video, but this system can be used for any kind of video you would like to create for YouTube and in general. Making a branded intro footage: content creation and social media marketing go hand in hand with branding, as it helps build customer loyalty. Branded intro will help your followers immediately recognize your brand among others. It will tell your story in short, so that others could get to know you better. For instance, Nike has recently changed their introduction video featuring Kevin Durant, the 2018 NBA finals MVP, telling his story about his way to the championship. The video promotes the values that he supports as a Nike ambassador. The branded intro is a great way to showcase your core values and let the public know that you stand behind those values. It’s a great strategy to create a strong reputation. Choosing the right background music: when looking for music for your video, it’s important to opt for the royalty-free tracks. You can either choose them from websites like Soundcloud or choose an already existing track on YouTube. YouTube has a pretty good selection of free audio tracks that can be sorted out according to the mood, instrument, and even duration. You can choose the most appropriate one without accidentally violating the copyright law. This point is all about investment. If you want to shoot good YouTube videos for your business, you should definitely consider investing in good equipment. If you’re planning to conquer YouTube and gain an army of loyal followers, buying high-quality equipment is a must. Owning a good filming equipment is also a sign that you take your business seriously and that you are a determined entrepreneur. While many YouTubers start filming their videos on a phone camera or with the help of a laptop, you cannot afford that as a business owner. Camera. Obviously, to shoot a good YouTube video, a camera is a must-have. The best cameras for shooting a video are Canon VIXIA HF R72 (retails for around $172) and GoPro HERO4 (retails for around $250). These cameras offer high resolution with up to 30 frames per second as well as great image sensors. Microphone. Most of the cameras already have inbuilt mikes but the sound winds up to be very vague and indistinct. So if you want the dialog on your video to stand out, purchasing the microphone is a must. When choosing a microphone, opt for the Blue Yeti (around $130) or Apogee MiC 96K (around $230). Also, when choosing a microphone, make sure that it’s compatible with your editing devices etc. Lighting. When shooting a video, natural daylight isn’t often enough. Besides, if you plan shooting a video for your business, you’ll probably do it indoors. The best lighting tools are Stellar 18” LED Ring Light and Limo Studio’s photography kit. You should definitely pay attention to the lighting as it heavily influences the quality of your video. Tripods. Choosing a good tripod is crucial as it holds your camera and helps the image focus. Thus it’s important to invest in this equipment, either it’s a small tripod like UBeesize’s adjustable tripod or a big set of tripods like Neewer 2-in-1 tripod. Gimbals. Gimbals secure your camera in place, which both prevents it from falling and makes the image more defined. Thus, choosing a cheap gimbal can cost you your camera. The best ones are Evo Gimbals and Aterox DJI Mavic Pro. They are able to lock the camera and secure it in one place. The choice of the tools strongly depends on the kind of video you want to shoot. In case you want to shoot a short film, you might need to rent a more professional equipment. Editing is a post-production step that also requires a lot of attention and a little bit of investment. And whether you’re editing a video yourself or you have a team doing it for you, you will need good editing software to make the finishing touches and ensure that both the image and the sound are in sequence. Corel VideoStudio: Corel video editing software supports 360-degree VR and 4K resolution, which allows you to edit basically all kinds of video documents. For a one-time payment of $52, you get a great editing software with all features necessary for the post-production process. Cyberlink PowerDirector: this program has a pretty straightforward interface while being a professional editing software. It also has a pretty amazing variety of effects and editing options. For $80 you’ll get everything you need to make a creative, one-of-a-kind video. Adobe Premiere Elements: this software is the industry leader. It has an award-winning interface and as many visual and sound effects as you could possibly need. So for $80 you get a bundle with everything you need to create a successful YouTube video for your business. Be ready to dive into the creative process! Creating a YouTube video for your business is a time-consuming process, but it’s really worth doing. This is a great creative way to help your business flourish, build your brand and earn thousands and thousands of new followers. However, to make it happen, you need to do a fair share of planning and investing. This way you’ll be able to create killer YouTube videos in high definition and with great sound quality.